For the base pistol, I started with the Beretta APX RDO model. I believe red dot equipped pistols are ready for mainstream use right now, and that they will only become more and common in the next few years. The RDO's mounting system is top-notch and allows for a variety of different optics. I recommend the Trijicon RMR for your RDO pistol. It has the best reputation for durability in the industry and has been constantly improved by Trijicon for use on pistol slides. 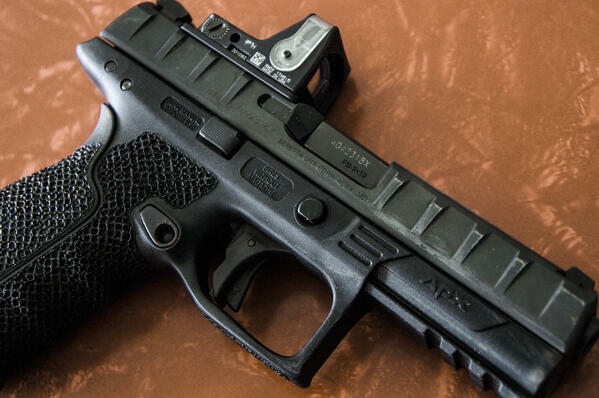 Installing the RMR on your APX is a simple process. The first step is to use the included Allen wrench that comes in the box to remove the slide cover plate. Use caution when removing the plate as the safety plunger spring is located under the plate and is under spring tension. It won't hurt you if it falls out, but it will likely fly all the way across the room and hide itself in a corner. Once you have the slide cover plate off, select the adapter plate that matches the Trijicon RMR. There are several plates included with the APX RDO to fit a variety of optics, so if you don't have an RMR, you can also mate it up with a Leupold DeltaPoint or a Burris FastFire among other options. I prefer the RMR because it's proven to be durable under real-world conditions. Now that the correct plate is selected, install the RMR on top of the plate and use the Beretta provided screws to screw the sight into place. I recommend placing a drop of blue Loctite on each screw, screwing it in, then backing out and screwing it back in. This allows the Loctite to evenly coat the threads. Now let's talk about upgrades to the pistol itself. 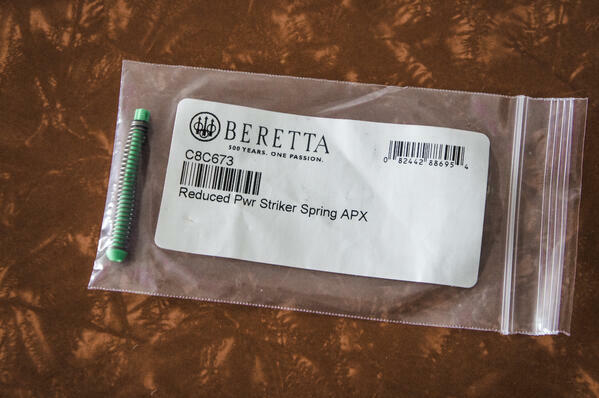 One absolute "must have" upgrade for the APX is the Competition Firing Pin Spring Assembly. On one of my personal APX pistols, using this spring lowered the trigger pull weight to an even five pounds. On a factory APX, the trigger pull measured between 5.5 and 6lbs. While a reduction of 0.75 pounds may not seem like much on paper, when you're on the line firing, or in a competition stage, it can make a huge difference. Installing the Competition FPSA can be a bit of a challenge as it involves removing the striker cover plate on the APX. That's a job that requires three hands. To remove the striker plate, use a small punch to press on the extractor spring, then partially remove the striker plate. Then using a small punch, depress the existing firing pin assembly spring to relieve its tension on the striker plate, and remove the plate. When that's accomplished just drop the new assembly in and reverse the instructions to put the slide back together. Another important internal upgrade to the APX RDO is to change the guide rod and recoil spring. The 9mm Heavy Metallic RSA helps the gun cycle flat and return to target quickly for fast follow up shots. This is a must do-change for me on the full size APX guns. Installing this part is as easy as popping the slide off, yanking the existing part out, and dropping the new RSA in the gun. There are a couple of external changes you can do as well! I sent my grip module to Boresight Solutions to have it aggressively stippled. But, if all you want to do is delete the finger grooves, you can buy a frame from the Beretta online store for that. You can also order Talon grips for adding extra texture to the gun. Last but not least are holster options. For competition shooting, the Stinger holster for sale on the Beretta website is my first choice. You can mount it high on the belt for IDPA competition, or dropped and offset for USPSA shooting. Both options are available in the package. 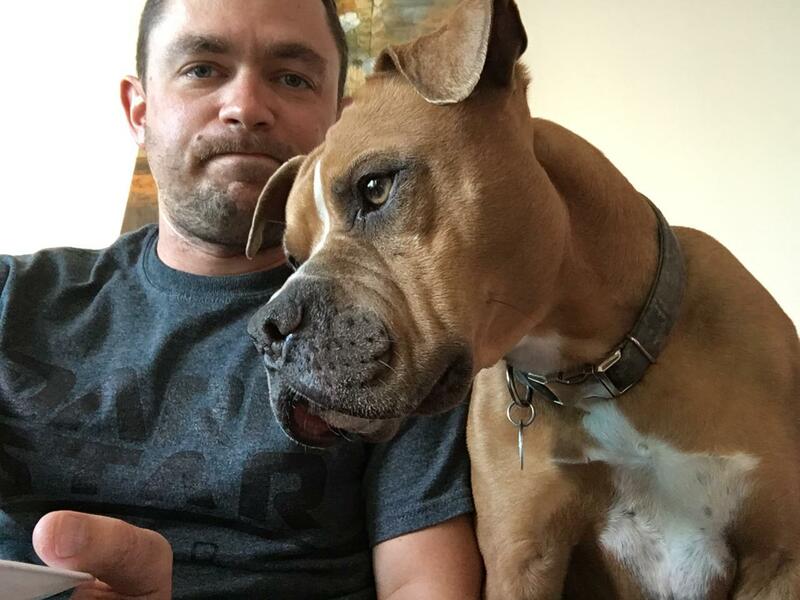 I've been able to accomplish some fun feats of marksmanship with mine. Make sure when you're done upgrading the gun you add a couple of 20 round magazines to round out your gear. You'll need those if you plan to compete with the APX.